Often the simplest solutions are the best, and leading engineering solutions provider RTS Africa’s inertial spin filters are a very good example of this universal truth in action. They employ a basic principle of physics very effectively, using a vortex to remove 98% of all dust particles down to 15 microns, 93 % of particulate matter above 10 microns and for that which is above 5 microns, a spin filter will remove 80% of all airborne particles. “This makes RTS spin filters eminently suitable for filtering air supplied into MCC rooms, transformer rooms and control rooms,” explains RTS Africa Managing Director Ian Fraser. It also makes them invaluable for use in the mining industry, where at every stage of the process – from blasting, loading, material handling and processing – dust is created. “The type of dust that one encounters on mines is usually from newly broken rock. Compared to dust that one might encounter in domestic or urban environments, if looked at under a microscope, mine dust particles are more jagged or irregular-shaped, and thus far more abrasive,” continues Fraser. A conventional use of spin filters on mines in the past has been to serve as primary protection for compressors in compressor rooms. While compressors do have their own on-board filters, in a mine environment with high levels of dust, these filters can become clogged fairly rapidly. “Should dust permeate into a compressor’s workings, it will combine with the oil to form a highly efficient grinding paste which will ruin the compressor fairly quickly. Should this happen, the cost of compressor downtime – which could bring a mine to a halt – would be prohibitive,” Fraser adds. More recently, he observes that mines have been employing high-end electronics to control equipment and systems both on surface and underground. Metalliferous dust is particularly harmful to sensitive IT-controlled systems and electronic controllers on large mining machinery. Once again, while many of these systems might have their own secondary filtration units, the installation of an RTS Africa spin filter will prevent equipment filters from being rapidly clogged up by the coarser airborne particles present. Recently, RTS Africa installed a large spin filter at a major platinum mine near Rustenburg. A key application that has emerged for spin filters is in the protection of variable speed drives using back channel cooling. This is the application at the platinum mine where the spin filter will be feeding filtered air at 64,000 m³ an hour into a variable speed drive system. The mine’s engineers have specified that they want the intake air to the variable speed drives filtered down to 1 micron, which is a particularly high standard of purity. “A further factor on this particular mine is that, in the immediate environment, there are significant amounts of SO2 gas present, which is highly corrosive. RTS spin filters are made of high density polypropylene which is not affected by SO2. However, to prevent the ingress of this gas into the variable speed drive rooms, we will be fitting SO2 absorbing modules to our spin filters. These modules are packed with material which absorbs SO2 very effectively,” Fraser explains. A further recent application of spin filters has been to protect large open-cast mining equipment such as drag lines and blast-hole drill rigs. 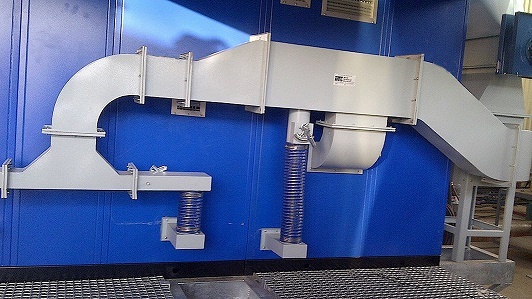 A spin filter installed on this equipment is able to create a positive pressure inside the operator cabs; which keeps dust out of the electrical control equipment, thereby extending equipment life and preventing expensive downtime. On mines, there is frequently great pressure to prioritise production, and maintenance is sometimes a secondary consideration. RTS Africa’s inertial spin filters’ only moving part is an electric motor-driven fan which requires almost no maintenance. As the dust from a spin filter is removed by a cyclonic action which extracts and then exhausts it to the exterior, there are no filter elements which require replacement. Fraser explains that there have been spin filters on certain mines that have operated with minimal maintenance and without breakdown for more than 20 years. Fraser comments that the mining industry is increasingly turning to the use of spin filters as a cost-effective dust extraction solution. “The mines like the fact that they are easy to install, their maintenance is minimal, they are highly efficient and provide consistent, lengthy and trouble-free service,” he explains. 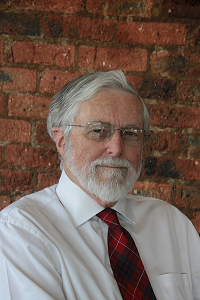 “With mines facing increased cost pressures, the scourge of load-shedding and national power grid inconsistencies – as well as contending with ever more stringent environmental legislation – spin filters present a highly viable option to contain expenditure and increase profitability,” Fraser concludes.